Greece is a place where you can feel at home. Peloponnese is one of the greatest wedding destinations. 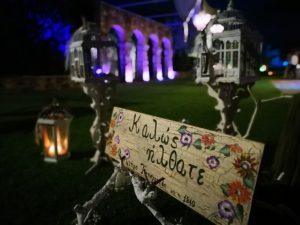 Especially, the West part of Peloponnese in Ancient Olympia where you can have an unforgettable wedding surrounded by the vibes of this unique archaeological site. 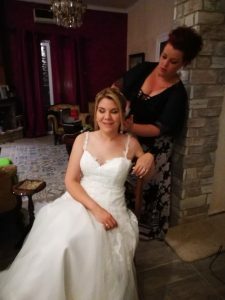 Our main goal is to provide personalized services in order to make your dream wedding In Greece, come true .We corporate with highly experienced and reliable professionals and also big wedding planners around Greece. Ileia Prefecture on the west part of Peloponnese, combines all the beauty of Greece to plan your wedding or to spend your honeymoon. Your wedding in Peloponnese is our job and we can make it happen!!! Welcoming of your guests by our experienced staff, based on the list that we receive either by the couple or by the wedding planner. The welcoming of your guests is the first impression for the smooth process of your reception, and that is why we make sure we have the proper number of people, who professionally and kindly will help your guest find their table, without having to wait in line. Space decoration with lanterns, gauze, candles, table decoration that consists of a big candle with satin ribbon in the color of your choice, lights and a variety of decorations in the color of your reception. Thus you save money that you would otherwise have spend for the decoration of your reception. Professional D.J. with his own complete equipment (sound-lights) who after meeting with you conforms to your own style and requirements. C sanitation by professional cleaning staff (depending on the number of your guests) during the whole duration of your reception. Because it is true that "Cleanliness is next to godliness"! Valet parking with professionals that will guide you and make sure that your cars in the proper order in order to provide the fast and with no trouble progression of your guests to the reception area. The house is at the disposal of the couple to freshen up or rest and take a breath before their big night. Brides car refresh their makeup, change their hairdo or even use safety pins to shorten their wedding dresses before the grand dance. Also, if there are any guests with babies, they do not have to leave because of that, just when the party starts: We can accommodate them but always with the supervision of an adult. We want you and your guests to "make yourselves at home" and we have been asked, quite many times to prepare feeding bottles or milk for the children, painkillers for the grownups, or even more comfortable shoes for the women, so they can continue dancing. 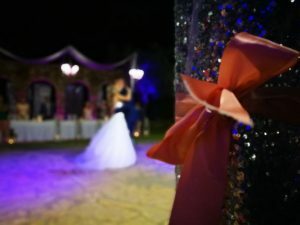 Our experience in the field of receptions allow us to distinguish and trust only the honorable professionals that will help organize the wedding of your dream. You can choose one or some of the below extra services to enhance your wedding. Animateur, jogglers, puppet show, inflatable toys etc that will enchant your petite guests and let parents enjoy your evening. Sweets of every kind from ice cream trolleys, chocolate fondues, cup cakes, marshmallows, little meringues, cotton candy, pop corn machine, delicious treats on the wishing table, on your guests' plates, for your sweetest night!! Possibility for preparation of children's meals, healthy and attractive for our little friends, served either in colorful lunchboxes or in any other way you have imagined. Church and space flower decoration in colors and aromas that will blow your mind. Hotel booking for all your guests who will travel a long way to honor you. You can welcome them in their room with a lovely basket full of surprises.